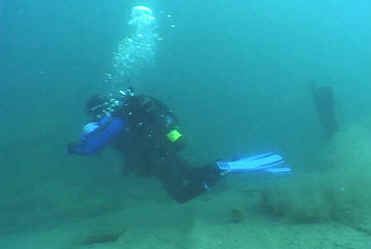 The development of a Low Impact Shipwreck Diving Course is another example of the exciting cutting edge programs GLSPS is initiating. Repairing damage to shipwrecks is where much of our work has been centered. 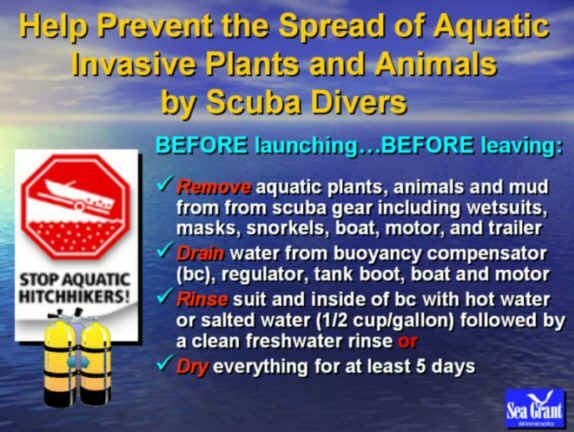 But if we could teach divers the best diving techniques to minimize damage to these delicate sites, the benefits could be even more widespread. Respected scuba instructor Bill King designed the course outline with input from other experienced wreck divers. We then circulated the outline to all of the regional dive shops for comments. We were disappointed that no one responded. We did, however receive an independently created outline from Ryan LeBlanc of Ontario's SOS. It was surprising to see we were topic for topic in step with Ryan's outline. Fall of 2000, we spent a weekend shooting the underwater video footage for a 10-minute class video on LISWD. However, the visibility was not the best, and in spring 2001 we attempted to return to re-shoot the video. Unfortunately mechanical difficulties kept us at the dock the entire weekend, so we missed a chance to improve the video with the much better spring visibility. In June of 2002, we returned to improve the video. Unfortunately the visibility still left something to be desired. Our hope was to create a top notch video of the techniques, which is really best done in excellent visibility. The other problem we encountered with early season shooting is that our actors' buoyancy skills that we wanted to demonstrate were a little rusty after a winter of hibernation. 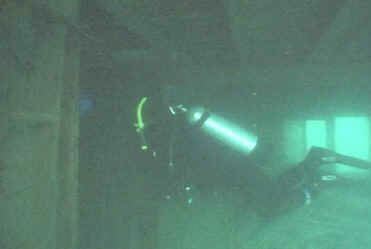 We are now planning on re-shooting much of the video in May in the Straights of Mackinac where in May 2003 we had 70 ft of visibility. 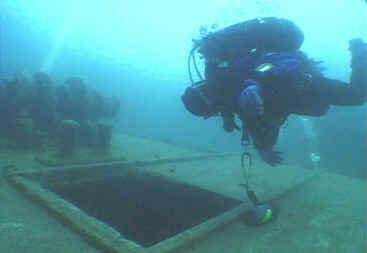 Low Impact Shipwreck Diving involves buoyancy control, sensitivity to the environment and common sense. What are the three most important skills in LISWD? Skilled wreck divers touch the wreck only lightly and infrequently. Proper attitude and fining techniques keep the wash from your fins from disturbing the silt on the deck below you. 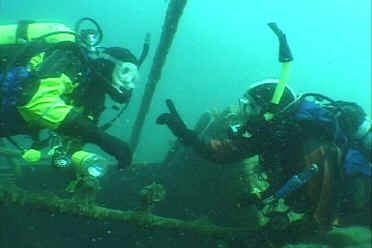 Improper fining destroys visibility making it more difficult to navigate the wreck without touching it and removes the silt layer from the shipwreck. Experts believe the silt layer in some cases helps protect the shipwreck from deterioration. When entering a hole or passage-way look before you pass through. Ask yourself whether you can pass through without abrading or colliding with the entrance frame. 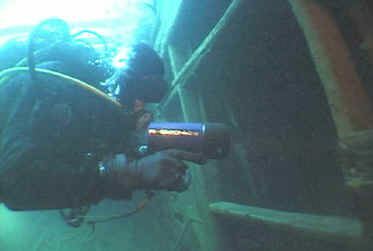 Minimize your profile and secure dangling equipment that can snag on shipwreck obstacles. Dragging around heavy lights and accessories can abrade soft wood, tangle and dislodge fragile artifacts and can be a safety issue for the diver. 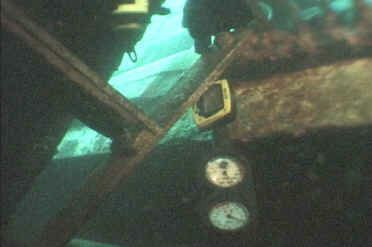 Submersible pressure gauges that are not secured can wedge in the darnedest places and cause minor damage to the wreck. Minimize your need to touch the shipwreck Resist the temptation to turn valve handles and panel controls. Eventually they will break off in your hand.